Do you make frequent trips to the airport? Do you wish you could be rewarded for all this driving and parking? If so, you need to enroll in our VIP Parker® Program! 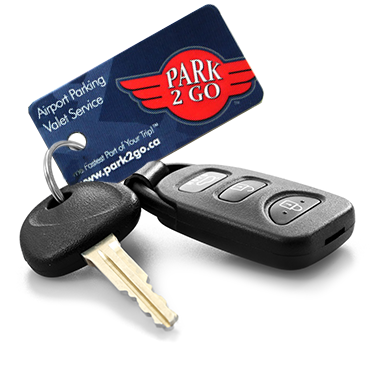 Park2Go's unique VIP Parker® Program is a loyalty program that rewards you with VIP Parker® points every time you park or reserve your parking online with Park2Go Airport Parking login in with your VIP Parker® account . How do you get started? It's as easy as 1-2-3! It is free and easy to join Park2Go’s VIP Parker® Program! You can enroll with one of our friendly ambassadors when you drop off your car or simply click here to create an account on your own. Once you join you’ll receive your VIP Parker® key tag to start collecting VIP Parker® points. Once you register and every time your reserve through your VIP Parker® account , we will reward you with 5 VIP Parker® points for every dollar you spent at Park2Go Airport Parking (1 day = 24 hours). If you do not reserve through your VIP Parker® account then you must present your your VIP Parker® at time of payment. Valid on parking charges only. Just show your VIP Parker® key tag to our Park2Go ambassador upon check out and inform them you wish to use your points for FREE parking. "Your valid key tag must be presented in order to redeem." Step off the plane and into your car! We’ll even start your car for you so it is warmed up and ready to go when you get behind the wheel! Earning Points is Faster than you think! *Park2Go’s VIP Parker® Program point system is subject to change without notification. The Points earned through Park2Go’s unique VIP Parker® Program have no cash value. Amount of points required to redeem for FREE parking must be available for redemption at time of usage. Taxes and surcharges where applicable must be paid at time of check-out. Point structure and redemption is subject to change without notice.